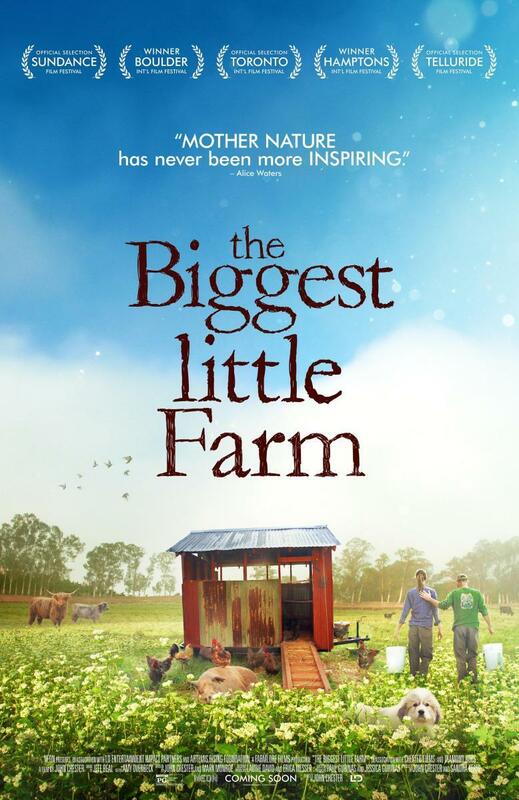 In 2011, documentary filmmaker John Chester and his wife, professional chef Molly Chester, made a life-altering decision: the couple left their jobs to move to a patch of land north of Los Angeles and build a farm from the ground up. Motivated by their desire to both live a life outside of the city and provide a better life for their rescue dog Todd, the couple waded through disastrous weather, predators, and local diseases over the next seven years as they devoted themselves to the creation of Apricot Lane Farms, with John documenting every step of the way. John chronicles their efforts for more than eight years in this sweeping epic of twists and turns related to the creation of Apricot Lane Farms. As neophytes, John and Molly enlist a consultant, Alan York, whose vision is to raise an array of crops and livestock. Alan cautions that it will take seven years before they fully realize their potential. During that wait, they face mounting obstacles: coyotes, insects, bad weather, and disease, like a modern-day Little House on the Prairie. Most farmers would respond with pesticides, extermination, and concentration on a single crop. But following their guru, John and Molly remain steadfast in their commitment to working with nature, not against it. "[It feels] like fresh air for the soul (...) Both deeply personal and remarkably objective (...) It’s unflappably solutions-oriented"
"It becomes genuinely involving and heartening (...) It will edify the curious and instruct the dreamers who have ever considered a back-to-the-land life"
"Gorgeous, devastating, and educational (...) [It] is the rare eco-friendly documentary that reaches beyond the celebratory formula to explore the application of its environmental message in detail." 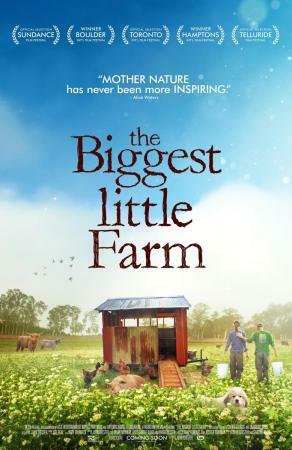 "[An] inspirational documentary that is nearly impossible to dislike (...) A remarkably reassuring film about human and mother nature"
"Chester approaches the eight years as a series of epiphanies, with radiant cinematography revealing it all (...) Most of those who’ll see 'The Biggest Little Farm' will be drawn by its ardent, gentle idealism"